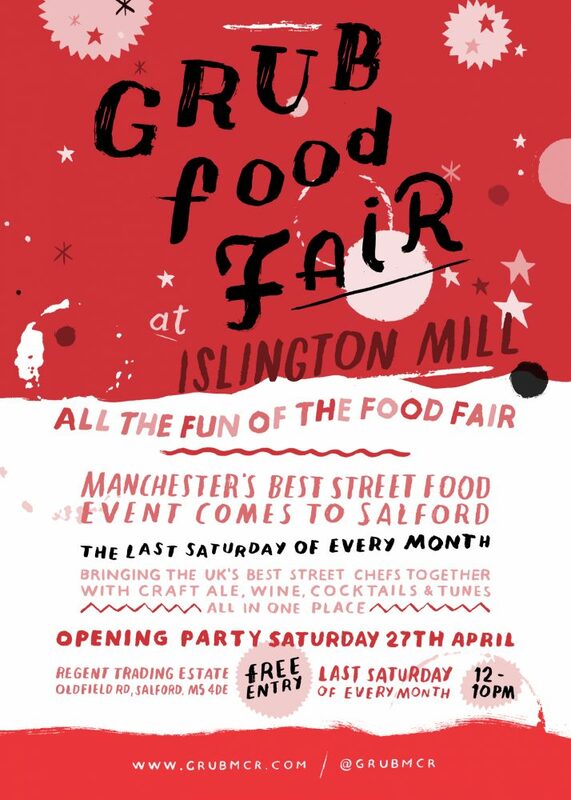 NEW monthly GRUB Food Fair at Islington Mill, last Saturday of every month, launching 27 April, 12pm till 10pm. For the best street food in the UK, plus top notch local craft beer, cocktails and music. Stay tuned for the full line-up of vendors coming soon. Last food orders around 8pm with plenty of veggie and vegan options available. Please bring cash AND cards to avoid disappointment. See you all soon on Regent Trading Estate. Entry is FREE, Facebook page is here.